Buddies in Bad Times Theatre is a theatre company and political powerhouse with a busy season, a rental venue, and a bar and nightclub. They needed a website that clearly defined each activity, making it easy for people to find what they were looking for, and equally easy for the Buddies staff to update as their content changes. The Japan Foundation’s Toronto branch is an active cultural organization that hosts dozens of events every month. They wanted to replace their site with an easily updated, mobile-friendly one that would support bilingual information and a busy event calendar. 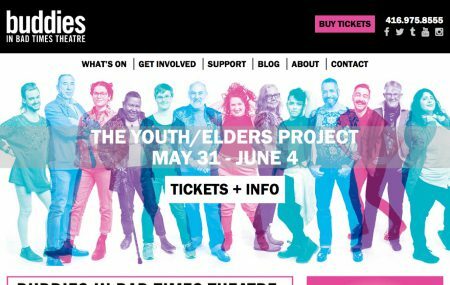 The TTDb is an online resource that aims to list the details of every theatre production in Toronto (past, present, and future). It began as theatre technician David Fisher’s ambitious personal project and has evolved into something incredible. 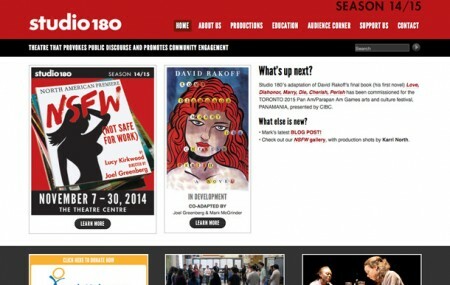 Studio 180 Theatre has been producing high calibre shows for over a decade. Their beautiful desktop-only website had outgrown the confines of their existing content management system and was ready for a behind-the-scenes overhaul. 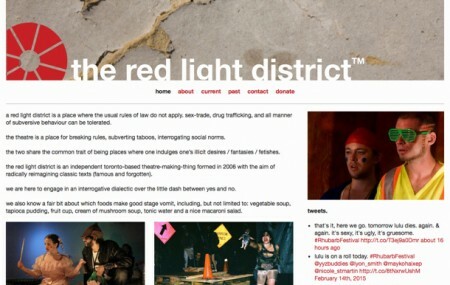 The Red Light District’s unique aesthetic is reflected in everything they produce, whether it’s a theatre production, video trailer, or postcard. They needed their website to be equally unique but still easy to update with an increasing number of shows. 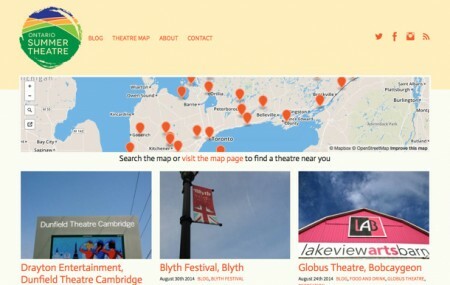 The Association of Summer Theatres ’Round Ontario was rebranding to Ontario Summer Theatre and they needed a complete overhaul of their outdated website. I created a fully responsive site to match the new visual identity. 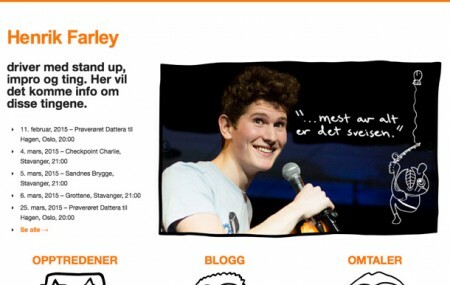 Henrik Farley was quickly gaining an audience for his standup comedy but other than his Facebook page, he had nowhere to tell them about upcoming shows. He needed a website that could contain a lot of information while reflecting his absurd and unusual comedy style. 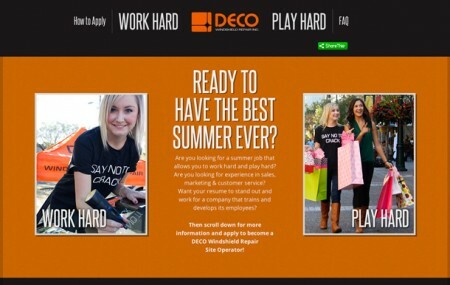 DECO Windshield Repair needed an attractive single-page website to serve as a recruitment tool and information portal. They were looking for something fun yet comprehensive that would attract students looking for a different kind of summer job. 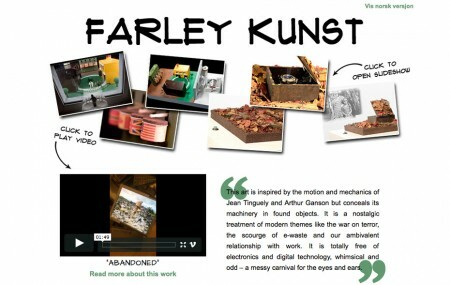 Glen Farley’s kinetic sculptures have a totally unique, handmade feel and we wanted his website to match. The clean layout showcases each work and the simple content management system makes it easy to add new pieces and exhibition updates.